In 1968 the media began to feature our work at a time when we were uncertain about how we wished to go forward. Painting and Sculpture was the everyday art-form for me and Textile Printing for Mollly. Things were beginning to happen with my Multiple Pieces and drawings were selling at reasonable prices. Molly’s furnishing fabrics were being launched by Hull Traders and her original printed silks sold well at Libertys and Mr. Fish. In the summer, we worked together on a series of Fashion DIY pieces that were designed as a parody on the American baseball jacket – a two metre length of cotton sateen printed with all the jacket sections ready to cut and sew together. But it was another idea we had of printing tattoos on translucent garments that brought Molly and I together with the work and which soon began to attract worldwide interest. This finally persuaded us to form a company working under the umbrella of a title you could apply to any level of work in any genre. Most of our waking hours were spent in our workshop in Chippenham House Studios, Cambridge Road, Paddington, Wonder Workshop seemed a fairly accurate choice. Molly’s father, Albert White, a sign painter and folk artist made the wooden painted sign as a present in 1971. 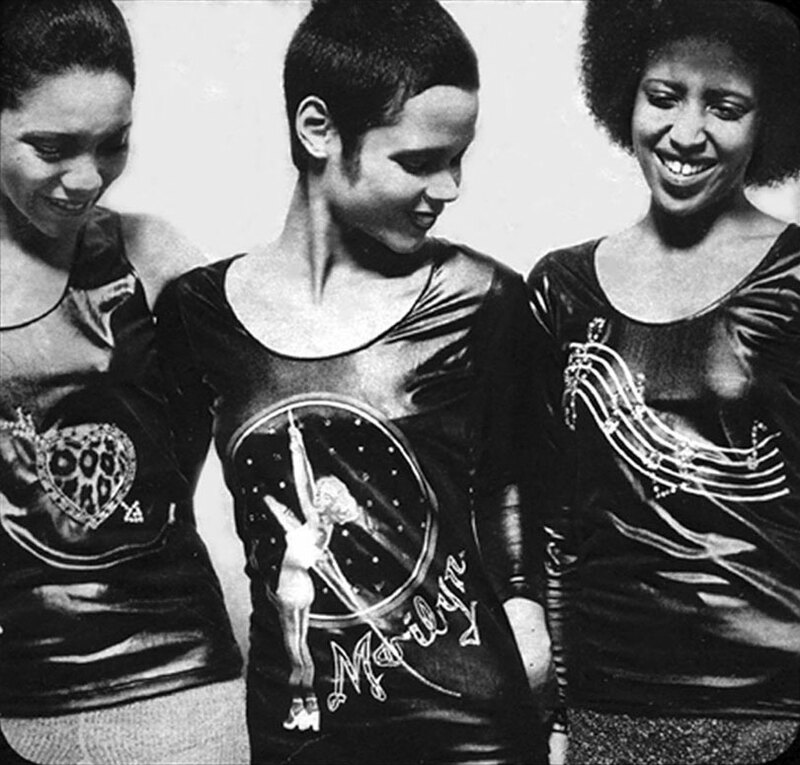 Produced the first collection of Black T-shirts – “Stupid Cupid”, “Music notes”, “Marilyn”, “Elvis” and “Wild Thing”. Photographed for 19 by Harri Peccinotti. 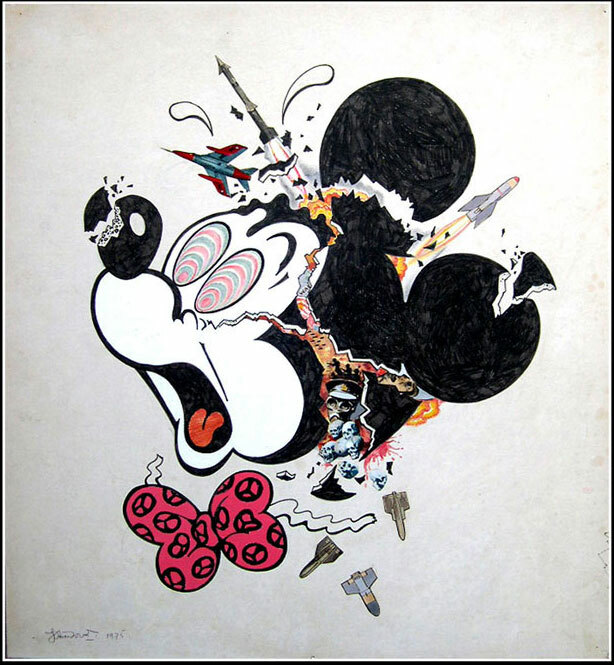 Original Artwork for “Exploding Mickey” T-shirt – Collection Victoria & Albert Museum. In the 60′s the immediacy of creating first prints ruled out preconceived ideas about art aesthetics. We had to deal with the elements of drawing and print technology all at once, then find a market and distribution. There were no commercial printing dyes available so we learnt the chemistry and made our own. Our early images did not have commercial awareness even though they would soon have commercial potential – the proving ground was a small network of music orientated shops mostly in the UK and the US. In 1968, Molly White and I joined forces in the studio. I began to make ‘Multiples’. Molly had just exhibited her latest printed textiles at a Hull Traders show in Dering Street, London and prints of butterflies on silk at Libertys. 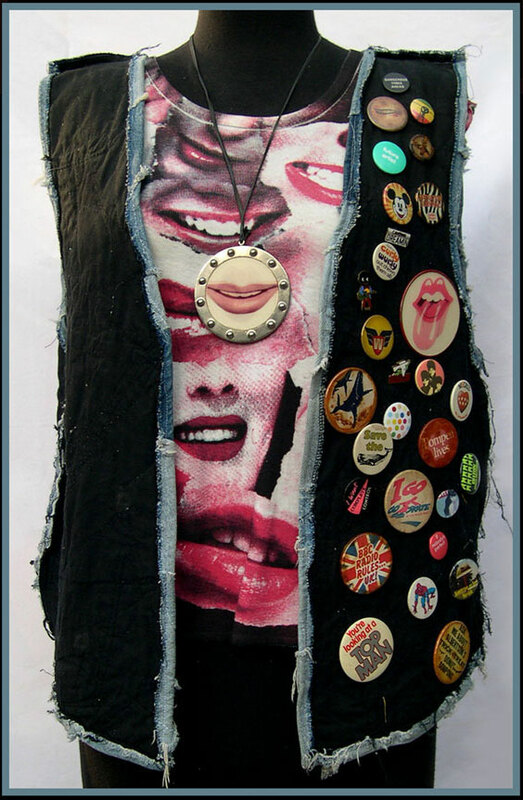 She also began making Pop images woven into Knitwear (a first, I think). I had drawn an illustration of a tattooed man for Nova magazine and another piece that included some elements of photomontage – something we had both developed with our early 20th century pin-ups print. Molly was teaching part-time at Berkshire College of Art and I suggested she should use tattoos as a subject for the screen printing course but we decided we should do it ourselves. All the influences we both collected on the way would be driving the images on the drawing board. Pop Art, Dada, Surrealism, Rock & Roll graphics would all be mashed into the mix – always searching to come up with something new. We threw everything into it and we have carried on printing together for the rest of our lives. Everything would stack up as we produced more and more screen-prints on T-shirts, shirts, underwear, jackets, jeans and sometimes on paper but the emphasis was always on T-shirts. These were our canvas. It’s always about innovation and making the print or object from beginning to end in our own workshops. Molly had printed a Zebra stripe in 1968 as a black and white furnishing textile. 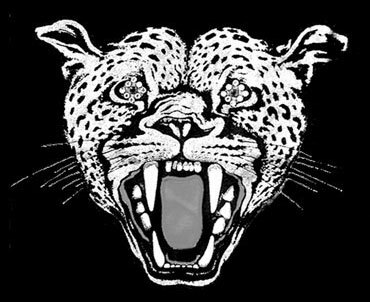 We used a green Leopard skin lining in the Iggy Jacket and we made Leopard and Tiger prints in garish colours in 1969 as an anti-fur trade protest. 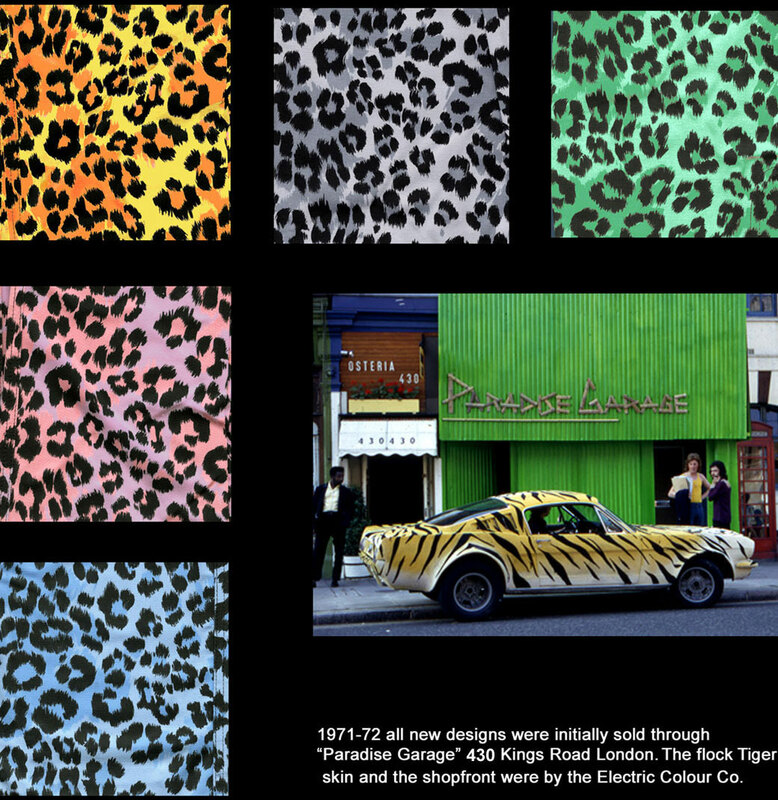 There was a real enthusiasm for animal skin prints at Paradise Garage so they became a central theme for many of our designs throughout the 70’s. Exciting times these, when the universal input becomes so great, there are no single answers. The concept of mainstream doesn’t work when the floodgates of all levels of art and music are open. But individual expression is still the key – breaking the ‘rules of attraction’ and the taboos of sexual identity – crossing the lines of race and creed. We talk about being on the verge of a global culture where ‘everyone will be famous for fifteen minutes’, now the cultural melting pot is scalding hot! 40 years before ‘Punk’, the anarchic ideas of Dadaism and then Situationism challenged the entire spectrum of the established arts to survive throughout the mayhem of the second world war with artists such as John Heartfield, Paul Citroen, George Grosz and later fired up the Pop Art movement of the 50’s that celebrated and parodied a product driven society. The more radical ideas of Situationism seeped through European Art with the sketchbooks and graphics of Asger Jorn, to be resurrected in Street Art and Street Fashion at the close of the 20th Century as the global economy began to crash. 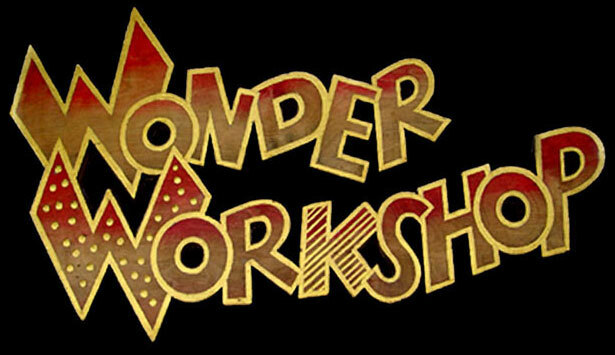 Wonder Workshop Painless Tattoo Breasts Iggy Pop Wild Thing!